A migraine is a common type of headache that may occur with symptoms such as nausea, vomiting, or sensitivity to eight. In many people, a throbbing pain is felt only on one side of the head. There are other types of headache also like cluster headache, tension migraine, stress etc. The word “arthritis” means “joint inflammation.” Inflammation is one of the body’s natural reactions to disease or injury, and includes swelling, pain, and stiffness, Inflammation that lasts for a very long time or recurs, as in arthritis, can lead to tissue damage. There are more then 100 arthritis ...! Cervical Spondylosis is caused by chronic wearing away (degeneration) of the cervical spine, including the cushions between the neck vertebrae (cervical disks) and the joints between the bones of the cervical spine. There may be abnormal growths or “spurs” on the bones of the spine (vertebrae). These changes can, over time, press down on (compress) one or more of the nerve roots. In advanced cases, the spinal cord becomes involved. This can affect not just the arms, but the legs as well. Headache/migraine, arthritis, backache etc. are very painful conditions of the body. Those who suffer from these disorders know the severity of symptoms and pain. In this book, you will find about migraine, it’s causes, types and prevention, cluster headache, mixed headache and headache in children etc. Besides headache, there is detailed description of arthritis, its types and prevention. Backache is also covered in this book in a separate chapter. This book contains description of proper exercises and yoga, which is supposed to be good supportive therapy for body pains. There are two separate chapters of homoeopathic treatment and a chapter on ayurvedic treatment too along with diet plan and home remedies. If you want to come to my place, first fix an appointment and please do not come without appointment. Dr. Rajeev Sharma is an eminent consultant of Homoeopathy, Yoga, Naturopathy and Alternative Medicine in India. He has written more than two hundred and fifty books (250) in Hindi and English and around one thousand articles which have been published in various newspapers and magazines. He was also an Additional Board Member of the prestigious Asian Homoeopathic Journal besides many other newspapers and magazines. Dr. Rajeev Sharma has written books on ayurveda, allopathy, homoeopathy, yoga, naturopathy, acupressure, magneto therapy, reeking, water-therapy, massage and aromatherapy etc. 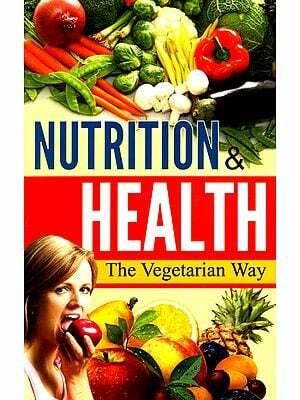 Dr. Rajeev Sharma has written books on all major ailments like diabetes, hypertension, obesity stomach and respiratory disorders, E.N.T. disorders, female disorders, UTI disorders, paediatric problems, headache, stress and other mental problems and Sexual Disorders etc. You can fix an appointment for any of such problem. Dr. Rajeev Sharma is Medical Advisor to Raison Remedies (a homoeopathic manufacturer), and Dixit Pharmacy (Ayurvedic Manufacturer), and Medical Officer in U.P. Govt. He has received several prizes for his outstanding achievements. He has been awarded the Best Author prize in Hindi by the Ministry of Health and Family Welfare, Government of India and Sarjana Puraskar by U.R Hindi Sansthan, Lucknow. He has delivered talks on All India Radio and lectures on Alternative Medicine in various Government and Non-government Organizations. He has written Advt. Scripts for the products of several companies. He is delivering lectures and providing literature on Yoga, Pranayama, Meditation, Stress and Life Style Management to the MNC’s and corporate houses. He has established a website through which you can get Online Trainingore Books in Occupies are, Massage, Yoga, Water Therapy, Diet Therapy,Naturopathy, Colour Therapy andRei ki besides other paramedical courses. Dr. Rajeev Sharma is also a social activist. He has worked a lot against Addiction and prevention of AIDS. He has worked for human rights too and has received the World Human Rights Promotion Award. His name has been published in LIMCA BOOK OF RECORDS and is to be published in India Book of Records 2011.